If you are not completely satisfied with any purchase for any reason, you may return it to us within fourteen (14) days of receipt for Exchange or Store Credit of your choice. Store Credits or Exchanges will be made quickly upon receipt of the returned item. All returns must be unused and in their original condition and packaging. All items should be accompanied by your sales receipt. No returns after 14 days. You will need to contact us prior to your return as not all items are returnable. We reserve the right to inspect and return to you any item that is not acceptable for return. Refunds and exchanges cannot be made until we receive your returned item. Shipping charges to return the purchase are at the Buyers expense and are not refundable. We do recommend that you send goods back via Express Post or Registered Post so it is trackable. Please package returns appropriately to avoid damage whilst in transit. 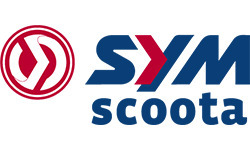 Scooter Shop Australia cannot take any responsibility for your goods whilst in transit.